AVG is one of the leading organization who delivers the antivirus products. 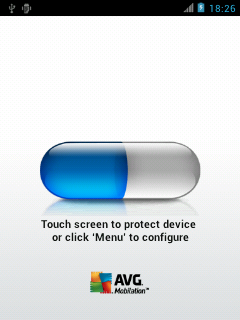 AVG has realized the importance of antivirus for Android OS quickly. 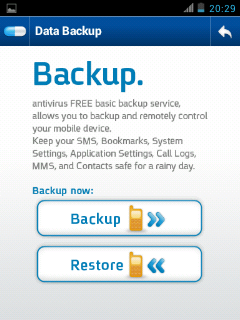 As you know Antivirus software is needed for smart phones as well. AVG has done a great job in implementing the AVG antivirus version for Android OS. As soon as you install this application, you should accept the terms for the first time. And AVG will invoke the auto scan when any file is being modified. You can even start manual scan by tapping on the home screen of AVG. Here the screenshot of AVG home page. 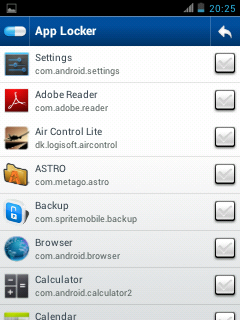 Press menu icon to see various different options that AVG provides. Let me explain you some of the features of AGV pro here. FIle scanner: This feature lets you choose a specific folder to scan. It will display a drop down of all the available medias on the drop down at the top of the page. You can choose a specific media, AVG then refreshes the folder(s)/file(s) list on the page with check boxes. Select the objects that you would like to scan and tap on the "Scan" button to start scanning. Task Killer: You can kill a process which is currently running with this feature. When you choose this option, all the processes that are currently being running will be displayed on the screen. App Locker: This is a very good feature to lock an application. i.e. ; you can lock an app with a password. 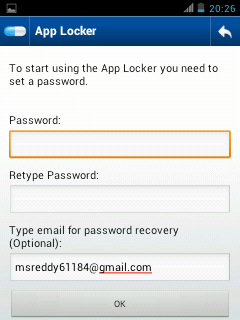 When you initially open the "App Locker", it will prompt user to configure the password. And it will show all the applications with check boxes. 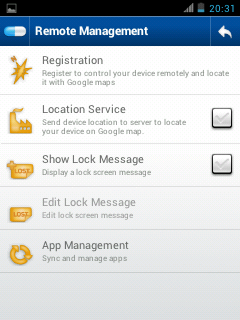 You can choose the applications that you would like to lock. Help: You can get the help from this screen on various options. Data Backup: This option will allow the data to be backed up and restored. 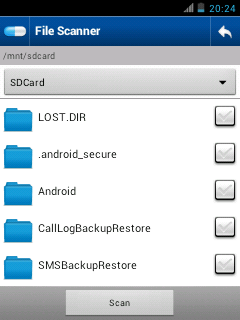 Wipe Personal Data: Wipe personal data option will allow user to format the SD card or factory reset. User can even remove the application cache from the application. Remote Management: Remote management option allows us to manage the data online.